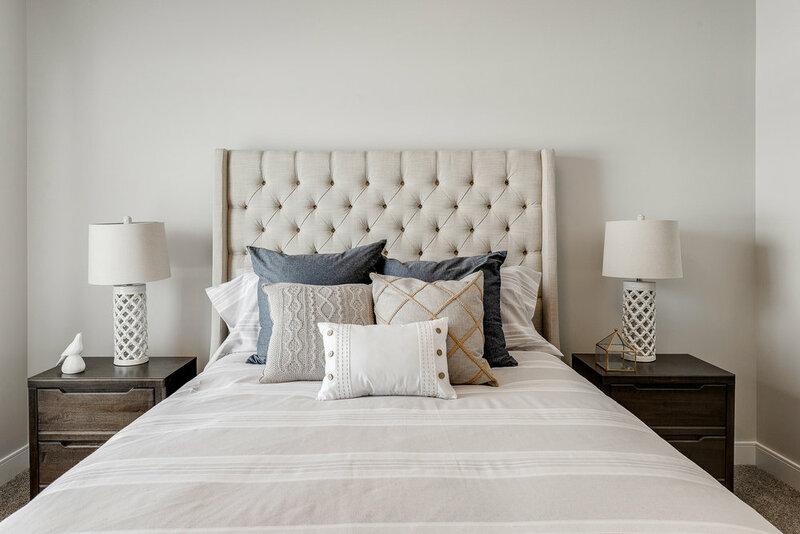 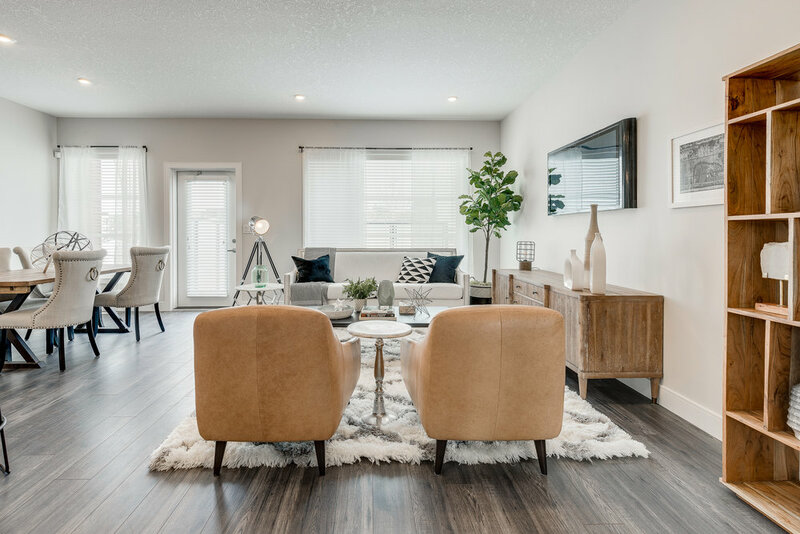 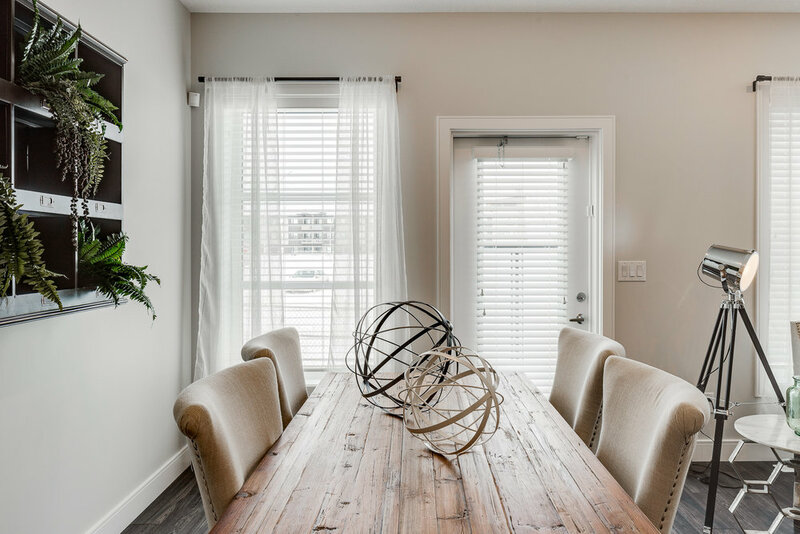 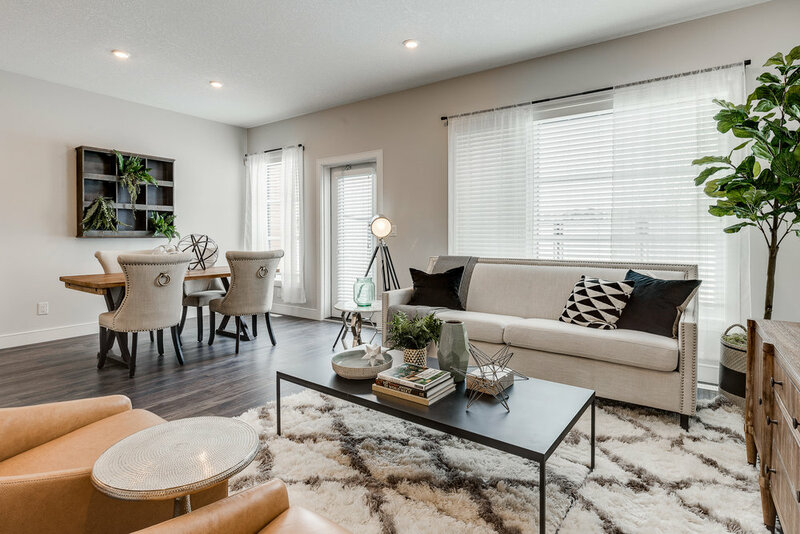 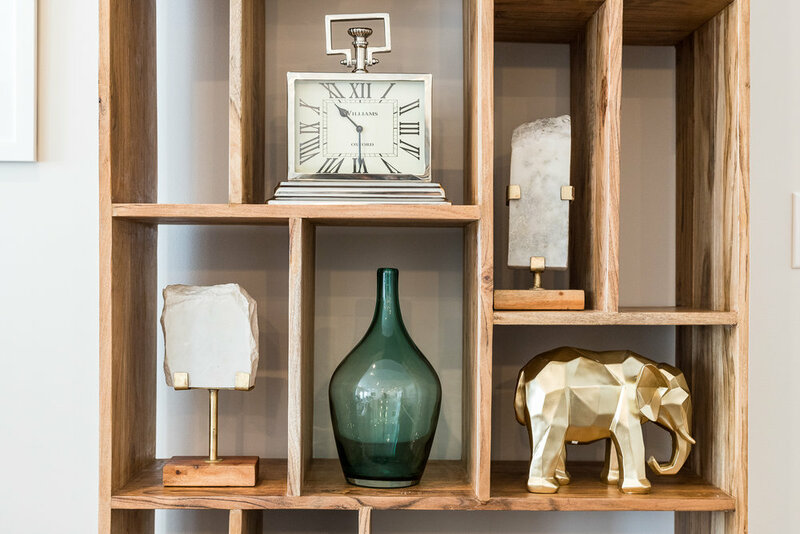 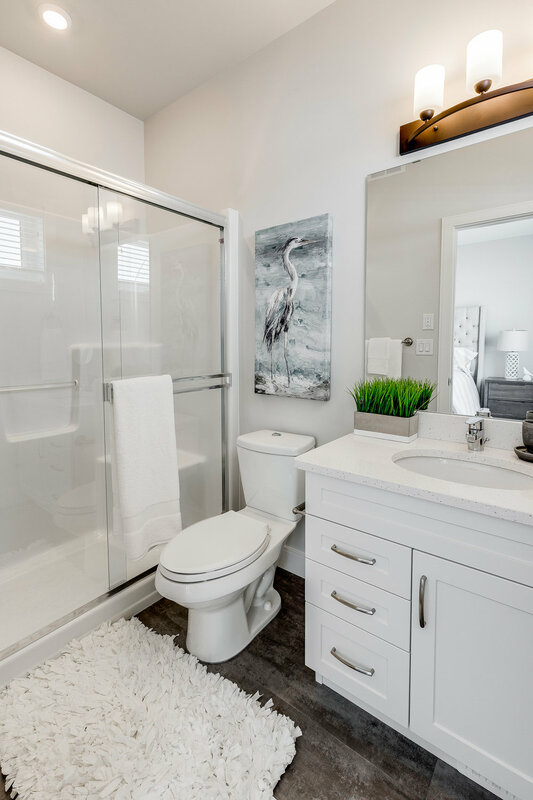 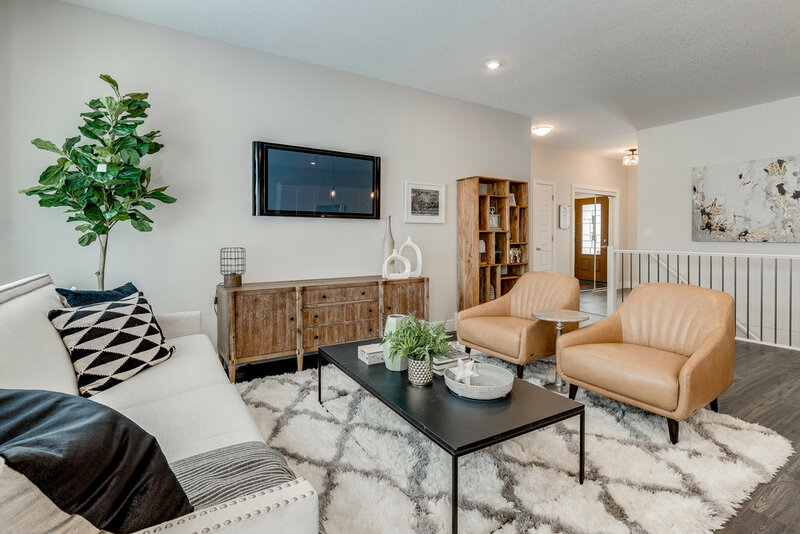 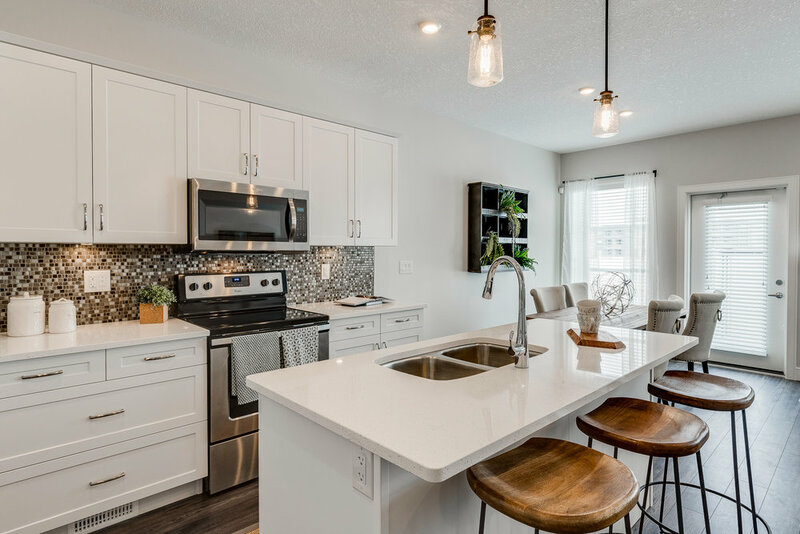 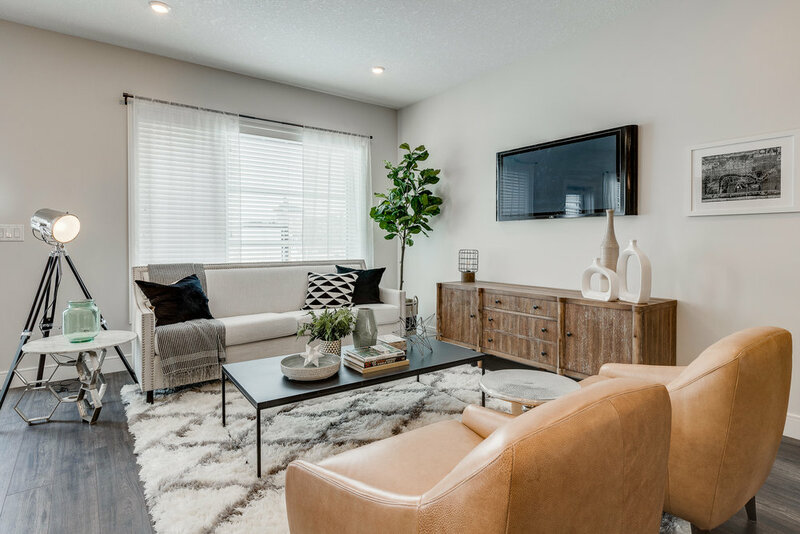 For our second project with NorthRidge Builders, Farmer's Daughter Interiors was asked to stage a new showhome located in the new Pines Development in Saskatoon's northeast block. 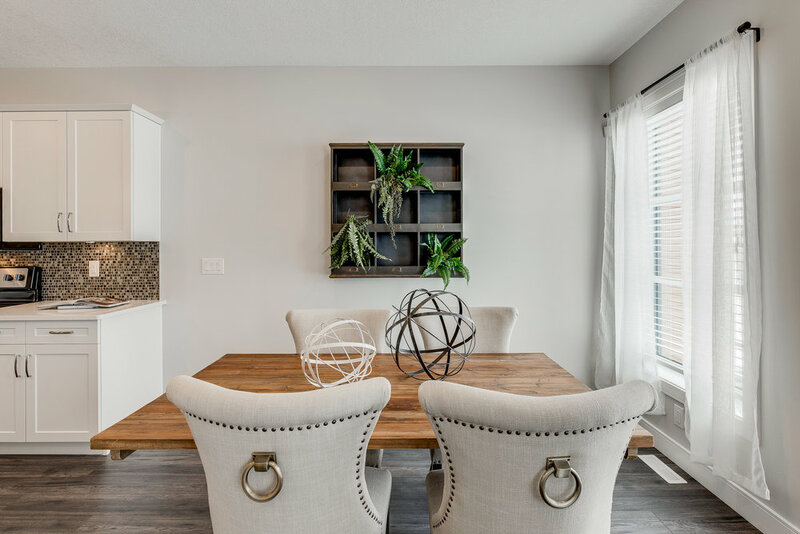 A mixture of wood tones and a pair of channelled cognac leather chairs achieves a warm + cozy feeling, even against a crisp white backdrop. 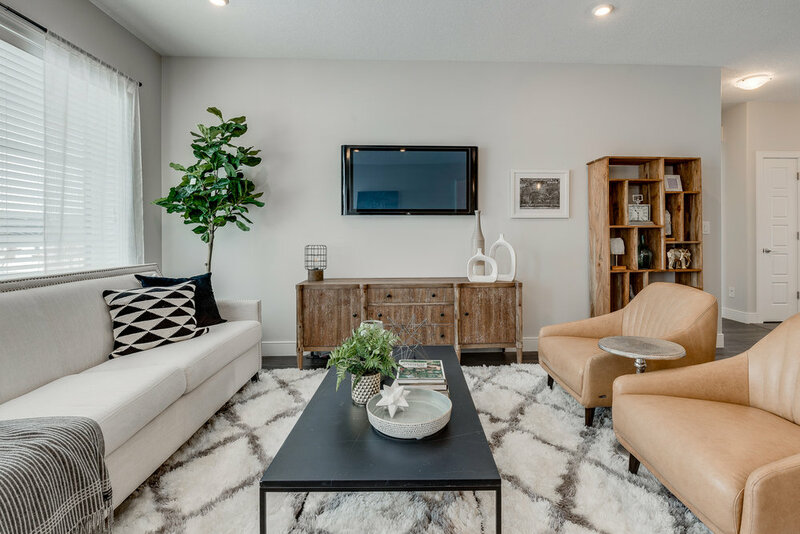 An injection of greenery brings this space to life in true Farmer's Daughter style.